As a week-long production shutdown announced by Tata Motors-owned Jaguar Land Rover (JLR) earlier this year got underway on Monday, campaigners used the development as a strong case in favour of a second referendum on Brexit. JLR had announced back in January that it would have an additional week of halting production of its luxury vehicles amid Brexit uncertainties just before a scheduled Easter break for workers. “There will be an additional week of production stand-down 8th-12th April due to potential Brexit disruption,” the JLR statement had noted at the time. The stand-down, which began on Monday, affects thousands of staff at Britain’s largest carmaker’s factories across Castle Bromwich, Solihull and Wolverhampton in the West Midlands, and Halewood on Merseyside. While workers at the factories will be paid during the break, they will have to make up the hours at a later date. “This could be a terrible sign of things to come if the PM [Theresa May] continues to pursue Brexit,” said a Brexit spokesperson for the UK's Liberal Democrat party, which has been actively campaigning for a so-called “People’s Vote” to give the British public another chance to decide on Britain’s membership of the European Union (EU). 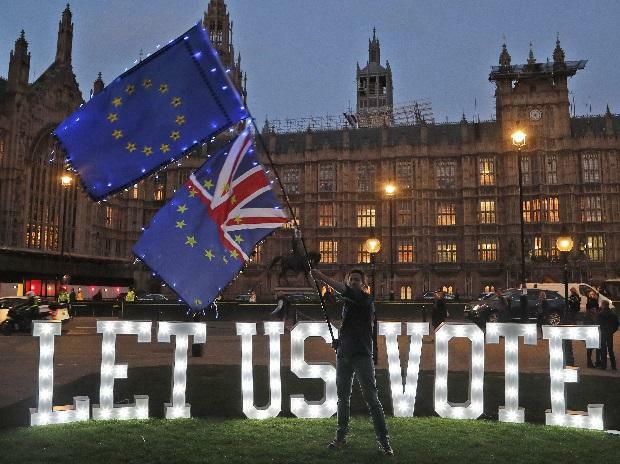 It said the ruling Conservative Party and Opposition Labour Party, currently locked in talks to try and break a Brexit logjam, must take action to protect jobs and the economy by agreeing to give the UK electorate a final say with an option to remain in the EU. "This continuing damage can and must be stopped," the spokesperson said. JLR CEO Ralf Speth has made a number of interventions to call on the UK government for more certainty over Brexit, which was also among the factors that forced the company into job cuts of around 4,500 earlier this year amid sluggish global sales. The car-maker has the largest number of retailers for its cars in Europe, with around 800 outlets across 42 countries. "We had to make some plans to protect the business as best we could and we started talking about this in January," said Mick Graham, plant convenor at the Solihull factory for the Unite workers' union. "We knew we had to take reactive action to mitigate the potential effect of a bad Brexit or no-deal Brexit. Suppliers need notice to get their parts across to us. It was a prudent thing to do," he said. The week-long shutdown in the UK came as Tata Motors unveiled JLR's 2018-19 financial results this week. The luxury car brand, acquired by Tata over 10 years ago, clocked sales of 578,915 vehicles, down 5.8 per cent compared to the previous year. While retail sales were up in North America by 8.1 per cent, in the UK by 8.4 per cent and in overseas markets by 2.4 per cent, the overall company performance was impacted by weaker sales in China, down 34.1 per cent. Felix Brautigam, JLR Chief Commercial Officer, said: "Despite a challenging time for us and the automotive industry, we were able to deliver growth in three of our five regions. In North America, the UK and overseas we posted solid growth on the back of strong demand for our exciting product line-up, achieving record sales and outpacing industry trends in many markets. "Clearly we were disappointed by the lower sales in China. However, together with our retailers we decided not to push sales at any cost' to ensure that our brands remain desirable.